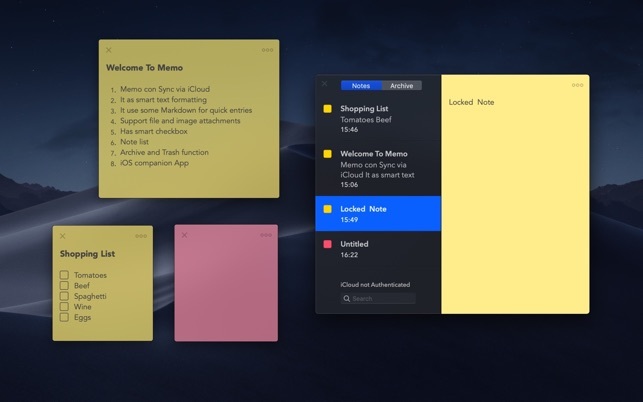 Memo is a simple and elegant app for quickly jotting down notes on your macOS and iOS. 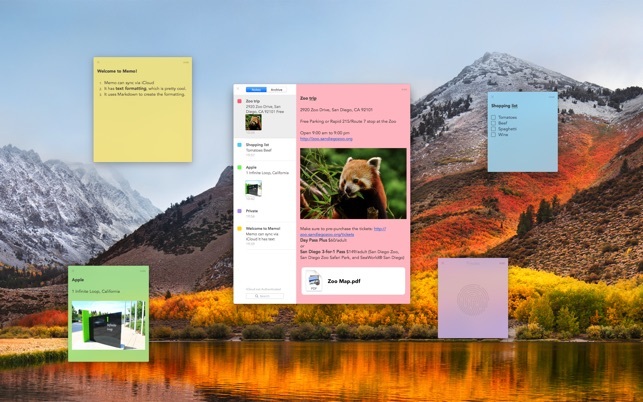 Memos are like sticky notes on your computer screen (minus the residue). 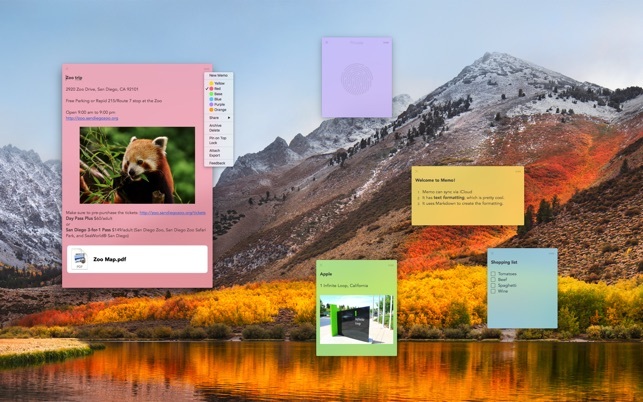 Pop open a new memo in less than a second and use it to jot down phone numbers, messages, meeting notes, or write down ideas before you forget them. 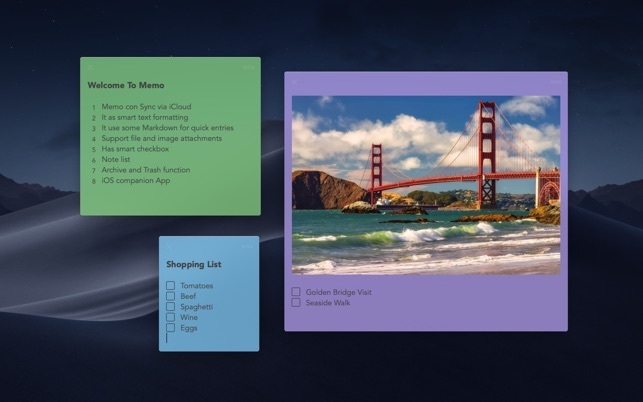 You can assign different colors to your memos to visually set them apart. Choose from yellow, red, green, blue, or purple. The Memo app supports rich text in dozens of font families. Is your computer a shared one, or public space? 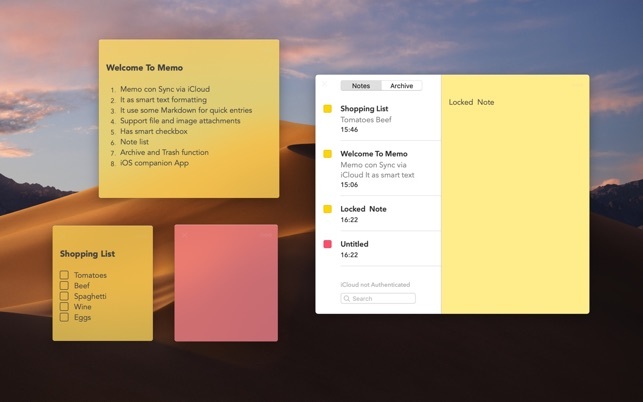 Create a Memo password and choose the memos you want to lock. 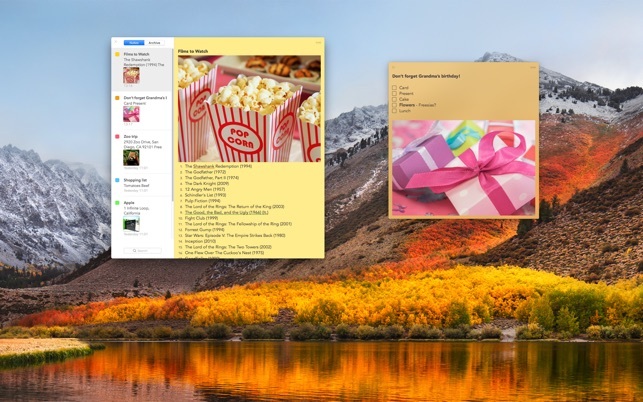 Locking a memo keeps it displayed on the screen but hides the content until you unlock it. Price may vary by location. Subscriptions will be charged to your credit card through your iTunes account. Your subscription will automatically renew unless canceled at least 24 hours before the end of the current period. Manage your subscriptions in Account Settings after purchase. Any unused portion of a free trial peri​od, will be forfeited when the user purchases a subscription. I love how this app uses markdown for composing the message. However, I feel some features that are behind the paywall are unsatisfyng. The one that annoys me the most is the text size. I have to pay to change the size of the text? Really?! Paid for this app but cannot get the paid features to turn on - no sync despite clearly claiming there is sync -its in the UI but does not work and likely this is tied to the fact that the paid features don't activate - same issue with 2 different Macs. Want to love it but I think is junk. We are sorry for the inconvenience caused. Please contact our live support platform here: memostickynotes.com so that we can further diagnose the issues.